I don’t finish a lot of books. Truck loads. I’d say about 1 in 4 books I start, I don’t actually finish. While I do love writing negative reviews (because they are just so much more entertaining) I am not going to suffer through a book just in order to rant about it! But it means that I never get the chance to not recommend the books I don’t finish. So this year, I’ve taken note of the books I haven’t been able to finish and why I haven’t been able to finish them. I’d say “enjoy”, but that feels rather wrong. Blue Bloods by Melissa de la Cruz: I was not expecting miracles with Blue Bloods, I knew it wouldn’t be very good. But seriously? What was with the 300 narrators? I’m fine with multiple narrators, as long as they are all following some sort of game plan. Blue Bloods just seemed to follow a dozen inane, unrelated, and petty squables. Oh, and what was with the overblown clothing descriptions? Who the hell cares what they are wearing??! 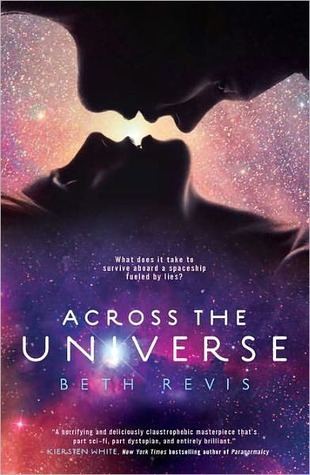 Across the Universe by Beth Revis: I read a review calling this the YA book for people who thought The Host by Stephanie Meyer was science fiction. And after only 20 pages, I completely agreed with them. Across the Universe felt like science fiction 101. Barely-there world building, boring characters, and no apparent originality. Perhaps it improves after a few hundred pages – but given the vague, emotionless writing, I doubt it. 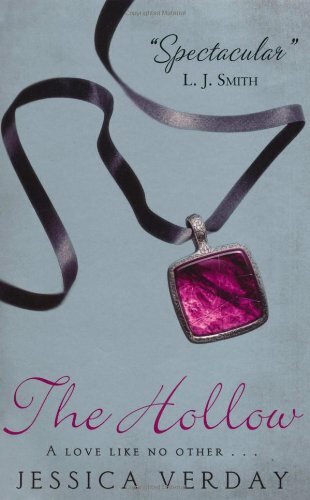 The Hollow by Jessica Verday: Girls who follow creepy boys around cemeteries are my definition of the Too Stupid to Live (TSTL) heroine. I worked out the “twist” 40-odd pages into the book, and jumped to the end to find out I was right. Everything in this book was too cookie-cutter: the villain, the romance, the spooky setting. It felt a lot like Light Beneath Ferns by Anne Spollen (which was another book I didn’t like!). Alas. Torment by Lauren Kate: God, the first chapter of this book made me roll my eyes so hard I hurt. I look back on my review of Fallen, and all I can say is “what was I thinking?”. Fallen must have had little of the nauseating tru wuv business – but Torment has it is spades. Horrible, pinching, nasty spades. Eugh. The whole “we’ve been in love for centuries… you just don’t remember” business is just such a cop-out. And lame. Really really lame. 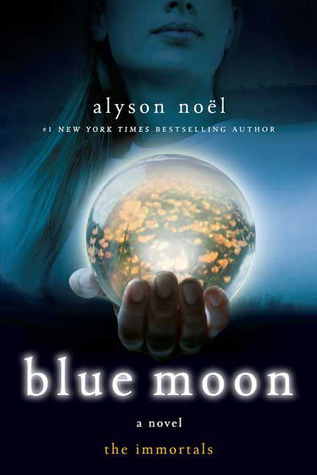 Blue Moon by Alyson Noel: I’ll be honest, I didn’t make it past page 5. Because everything I disliked about Evermore was in abundance in Blue Moon… rather like Torment. Just skip this series. No, seriously, just skip it. 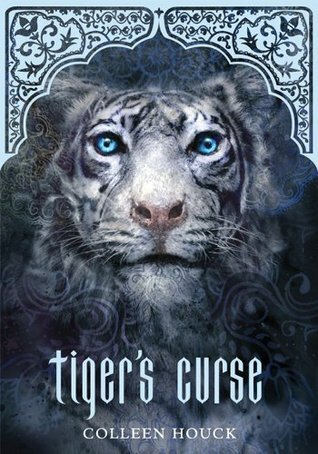 Tiger’s Curse by Colleen Houck: I had been so excited to get Tiger’s Curse along with its sequel Tiger’s… something else. I had gotten an email from the publishers asking me to review it, and I went “OMG YES”. And then I started reading it. And, yeah… no. Just no. The main character is ludicrously childish and the writing is extremely disjointed. I had to re-read passages two or three times in order to understand who was doing what… until I just didn’t care what happened next. Also, writers that insult vegans? So off my wishlist. I love that you don’t finish the ones that don’t hold your attention (or are terribly annoying). I read all of Across the Universe and thought blah the whole time. I think I was good with Fallen (not great), but haven’t picked up book 2 because I just don’t care enough. And I just don’t get the draw to Alyson Noel. 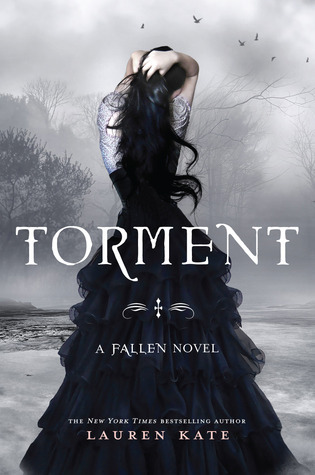 For me Fallen was so overrated I really didn’t even want to read the blurb on Torment. I have Across the Universe but not read it yet – now I’m not sure I want too! Shame about Tiger’s Curse – the cover is beautiful! I thought Across The Universe was pretty boring. I was considering Blue Bloods last year, but think I’ll give it a miss now. ha! The tiger books never appealed to me at all. I’ve seen loads of 5 star reviews around for them, though. Hahaha these are hilarious! I’m so glad someone else likes writing negative reviews. Harsh, maybe, but always entertaining. I actually really enjoyed Across the Universe but I do seem to be in the minority there, I have read a tonne of negative reviews about it. Maybe it’s because I know nothiiing about sci fi type books so am easily impressed? Who knows. I kind of wish that I could just abandon books like you do, but I just can’t get myself to do it.